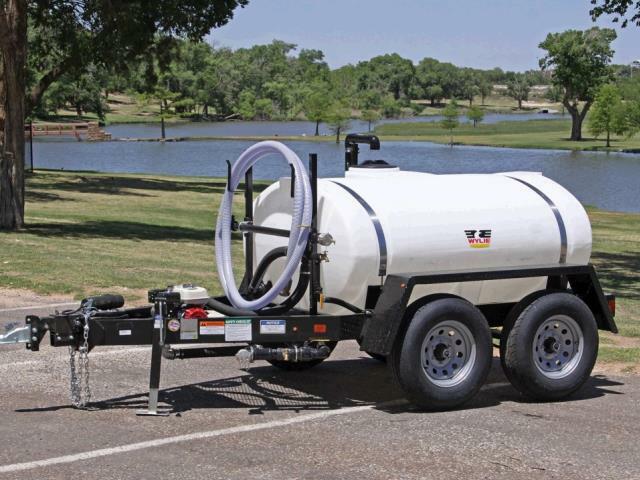 The Wylie "Express" Water Wagon is available in a sizes of 500 gallons and is packed with user-friendly features. The "Express" Water Wagon can be used as a dust abatement trailer, concrete saw water trailer, water hauling trailer, fire control trailer and many other uses. Also equipped with a 4 HP Honda Engine and 2 Aluminum Pump. * Please call us for any questions on our trailer water tank 500 rentals in Naples FL, serving Southwest Florida.